This is the first out of several upcoming paintings meant to accompany “The Syrian Princess” in her journey to the World. 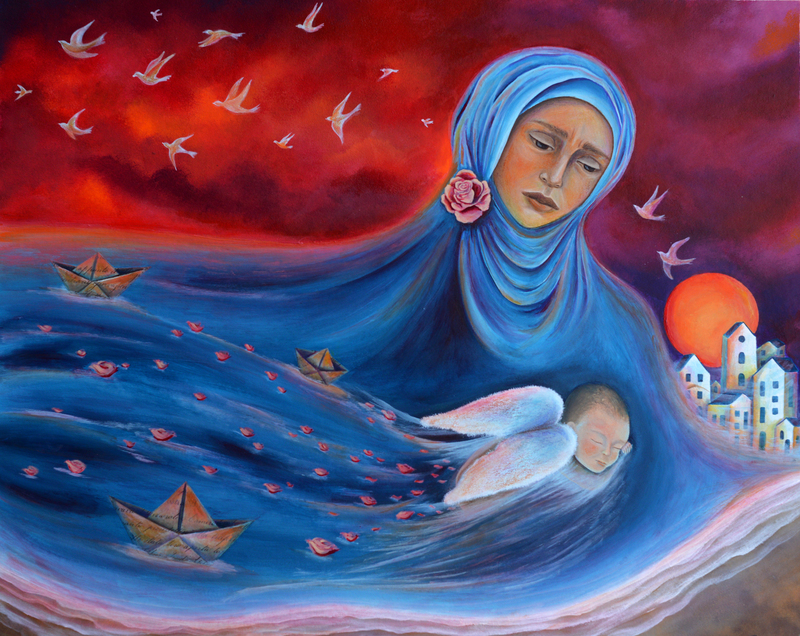 This first painting is inspired by the chapter “Angels of the Aegean”. More information about the contributing artist Sofia Filea, her work and contact details can be found in Sofia’s personal Facebook account below.